Traveling abroad can be a stressful time, from planning the trip to flying and making purchases in different currencies. An international travel rewards credit card can ease the burden of dealing with exchanging bills or help you avoid additional fees for purchases made outside of the U.S. The cards we list here all have no foreign transaction fees. Whether you’re looking for an international travel rewards card so you can earn miles to redeem for flights and hotel stays, or simply to have assurances that your card will be accepted at a foreign merchant, there are plenty of options available. We have organized our recommendations based on how you are going to use the credit card. Here are our top picks for 2019. Check out the credit scores needed for some of the top travel cards. For a card to be the best overall international travel card, we decided the card had to meet at least three criteria: no foreign transaction fee, chip + PIN technology and a rewards program. 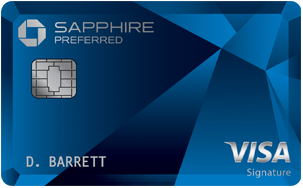 The Chase Sapphire Preferred® Card hits all those marks and then some. It does have an annual fee, but sometimes an annual fee is worth it if the rewards outweigh the cost of the fee. For example, if a card has an annual fee of $95 and a rewards rate of 2 points per dollar, if you spend $9,750 a year, you will come out ahead — covering the annual fee and earning $100 in rewards. In addition, you will enjoy the premium benefits the card provides, plus the foreign transaction fee is $0. The Chase Sapphire Preferred® Card has an annual fee of $95. The rewards rate for this card will benefit frequent travelers with 2X points on travel and dining at restaurants & 1 point per dollar spent on all other purchases worldwide. What makes this card great is the 25 percent more value your points are worth when you redeem for airfare, hotels, car rentals and cruises through Chase Ultimate Rewards®. For example, 60,000 points are worth $750 toward travel. This is a fantastic bonus that can get you closer to earning enough points to cover a flight or hotel stay. 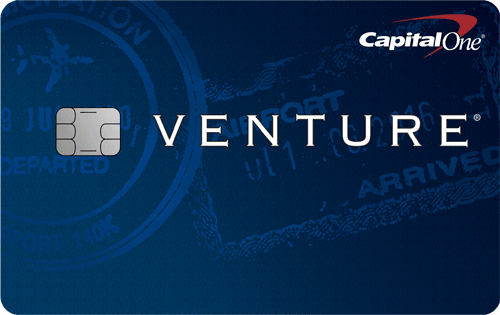 Chase also provides chip + PIN technology that allows you to use your card at more merchants when traveling abroad. Cardholders must activate the PIN technology by calling Chase’s automated phone system at 800-297-4970. This card offers a bonus offer that will jumpstart your rewards earning. Earn 60,000 bonus points after you spend $4,000 on purchases in the first 3 months from account opening. In addition, points are transferable to nine airline and four hotel loyalty programs — Aer Lingus AerClub, British Airways Executive Club, Flying Blue AIR FRANCE KLM, Iberia Plus, JetBlue TrueBlue, Singapore Airlines, Southwest Rapid Rewards, United MileagePlus, Virgin Atlantic Flying Club, IHG Rewards Club, Marriott Rewards, The Ritz-Carlton Rewards and World of Hyatt — via Chase Ultimate Rewards®. (931) Over the Past 60 Days! 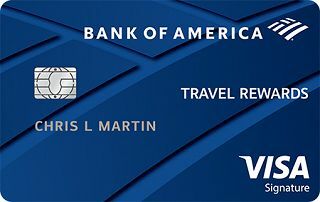 The Bank of America® Travel Rewards credit card is a good option for travelers who want a flat-rate travel rewards card. This card offers a consistent rewards program — earn 1.5 points per $1 spent on all purchases. The real rewards come to those who are Bank of America account holders. If you have a checking or savings account with Bank of America and you’re a Preferred Rewards member, you earn a points bonus of between 25 to 75 percent every time you swipe your card. This added bonus is a great way to earn bonus rewards on all purchases. The best way to redeem points is for a statement credit to pay for flights, hotels, vacation packages, cruises, rental cars or baggage fees. If you redeem for cash or gift cards, it will be of lesser value. Bank of America became the first financial services company to be both mobile app- and online banking-certified by J.D. Power for providing “an outstanding customer experience” in January 2019. When traveling abroad, you will have peace of mind with built-in chip + PIN technology, allowing you to charge purchases at more merchants — plus the foreign transaction fee is None. You may want to consider this $0 annual fee card as an alternative to the Bank of America® Travel Rewards credit card. If you’re not in the military, working for the federal government or are the family member or housemate of either, you can still join the PenFed Credit Union and apply for the card. All you have to do is join Voices for America’s Troops or the National Military Family Association for a one-time fee of $17 and you’re in. Earn 4x Points on all travel purchases for PenFed Honors Advantage Members, 3x Points on all travel purchases, and 1.5x Reward Points on all purchases unrelated to travel.. 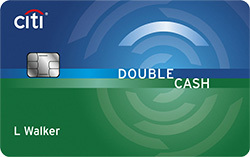 The card comes with built-in chip technology and the foreign transaction fee is None. Travel-related perks available include, travel, luggage, roadside, medical and legal assistance, travel accident insurance, trip/baggage delay insurance, car rental loss and damage insurance and access to a free 24/7 concierge service. (133) Over the Past 60 Days! When you travel outside the U.S. it is essential to have a credit card with chip + PIN technology. This technology has become a necessity for transactions in countries throughout Europe and elsewhere in the world and also provides an added level of safety on transactions. The Barclaycard Arrival Plus® World Elite Mastercard® also offers a great rewards program. Earn 2X miles on all purchases — this is an excellent flat-rate amount that is higher than the 1 mile you typically earn from other cards. When redeeming rewards, you will earn 5 percent of your miles back as a bonus to use toward your next redemption. For example, if you redeem 40,000 miles, you will receive 2,000 miles as a bonus to use the next time. Miles can be redeemed for a variety of options from travel and cash back statement credits, to gift cards and merchandise. Barclaycard provides complimentary 24/7 travel card concierge service that acts like a dedicated personal assistant and additional World Elite MasterCard benefits. And it has a 0% foreign transaction fee. (70) Over the Past 60 Days! As a frequent flyer, you may decide that an airline-specific credit card is a good option. Airline credit cards allow you to accrue more miles on purchases made via the airline and are a great way for you to earn extra miles and get closer to covering the full cost of a flight using miles. The best airline credit card we found for international travel is the Citi® / AAdvantage® Platinum Select® World Elite™ Mastercard®. This card has the overall best benefits for frequent international travelers of all the airline credit cards on the market. American Airlines offers worldwide flights to nearly 1,000 destinations worldwide, giving you the freedom to fly around the globe. 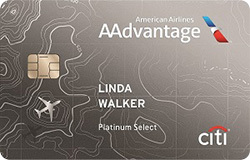 The Citi® / AAdvantage® Platinum Select® World Elite™ Mastercard® lets you Earn 2 AAdvantage® miles for every $1 spent at gas stations, restaurants, and on eligible American Airlines purchases*. This allows you to earn extra miles on American Airlines purchases. You can redeem miles for travel on American Airlines, American Eagle®, any oneworld® airline or any partner airline, as well as for gift cards and more. It’s easy to get an estimate of miles needed to cover a flight by using this interactive map. The annual fee of $99, waived for first 12 months* is typical of airline credit cards and is worth the rewards you receive. You will receive a 25 percent savings on in-flight food and beverage purchases when you use your card when flying with American Airlines. Other perks include preferred boarding, first checked bag free for you and four companions. This card is great for American Airlines frequent flyers and for anyone who wants the most flexibility when flying internationally — and the card has a 0% foreign exchange fee. Thanks to the merger of the Marriott and Starwood brands in 2016, cardmembers have access to more than 6,700 hotels and 29 brands around the globe under the Marriott Rewards® program, ranging from Ritz Carlton to Fairfield Inn & Suites. Earn 6X points for every $1 spent at over 6,700 participating Marriott Bonvoy hotels and 2X points everywhere else. Get a free night on your card anniversary that can be used at hotels with a redemption level up to 35,000 points, plus get a free night when you redeem points for at least four nights. The card has a $0 foreign transaction fee. You can transfer points to more than 40 global carriers — and get 5,000 points back for every 60,000 points you transfer to airline miles. If you have platinum premier status with Marriott Bonvoy, that comes with automatic MileagePlus silver status on United Airlines. That comes with a 10% bonus when you convert points to miles, free economy plus seating for you and a companion (when available), free premier upgrade on day of departure when available, one free checked bag, premier airport access where available and 7 points per $1 spent when you use the card to book United flights. Automatic silver elite status comes with the card, which includes free in-room Wi-Fi, a 10% points bonus, late check-out and a dedicated customer service line. Perks with this card include baggage delay insurance, lost luggage and trip delay insurance, purchase protection and access to Visa Concierge. 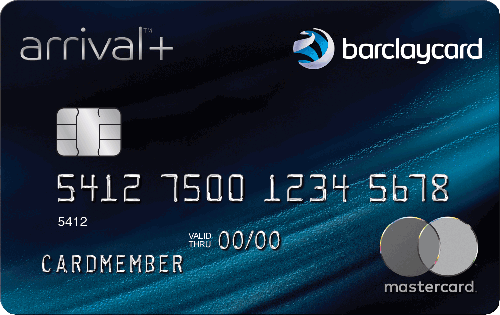 The information related to the Marriott Bonvoy Boundless™ Credit Card has been collected by CompareCards and has not been reviewed or provided by the issuer of this card prior to publication. What makes a good travel credit card? What makes an international travel credit card different? Chip + PIN technology. This allows you to have a wider use of your credit card when traveling outside the U.S. Many merchants in countries throughout Europe and elsewhere in the world require chip + PIN technology and may not accept a card with chip and signature. International travel credit cards are more likely to have the chip + PIN capability. No foreign transaction fees. Nothing is worse than charging purchases abroad and incurring a fee just for using your card. Many credit cards charge foreign transaction fees of 3 to 5 percent. The international travel cards we’ve mentioned in this post do not charge foreign transaction fees, allowing you to save money from unwanted fees. Rewards for travel purchases. Compared to regular rewards credit cards, travel credit cards offer higher rewards rates for purchases on flights and hotel stays. This allows you to earn more rewards on these purchases, and rewards can be redeemed for travel. And, when rewards are redeemed for travel, you often receive a discount or bonus. What credit level is required for an international travel card? International travel cards require a good to excellent credit score, with the higher value cards requiring excellent credit scores. The better your credit score, the more likely you are to be approved for the best credit card. Should you have more than one travel card? Should you pick an airline-specific card? You can pick a specific airline card if you are already an existing member of the airline’s frequent flyer program. This is a great way to “top up” your mileage and earn the extra miles to cover a full flight. If you often find yourself just shy of the amount of miles needed to cover the cost of a flight, airline-specific cards are a great way to earn more miles. The Gold Delta SkyMiles® Credit Card from American Express, Citi® / AAdvantage® Platinum Select® World Elite™ Mastercard® and JetBlue Card are great cards for frequent flyers of Delta, American Airlines, and JetBlue. What is international customer service like? International customer service varies by card issuer. When you call customer service from abroad, you will call a different number than if you were calling from the U.S. The numbers are often listed on the back of your card. Some issuers offer 24/7 customer service, while others stick to traditional business hours. See below for a chart with international customer service contact numbers for each credit card issuer and whether they offer 24/7 service or not.